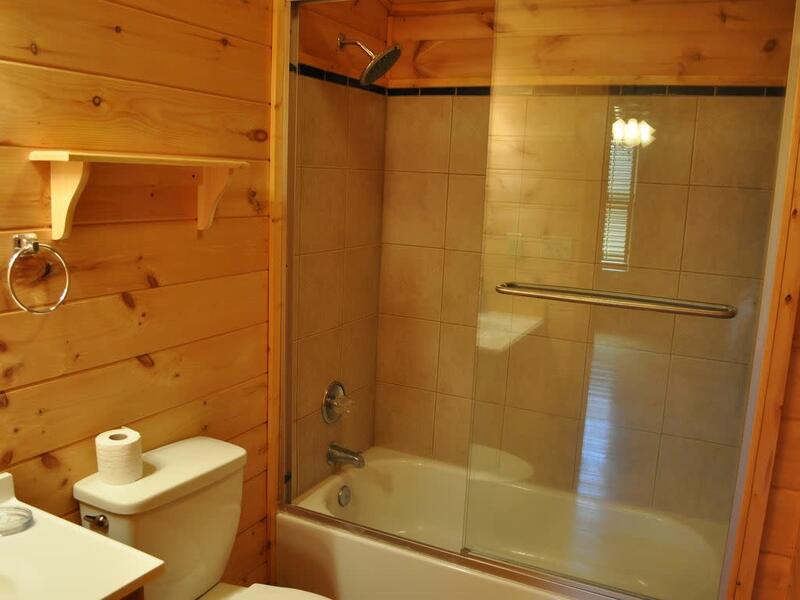 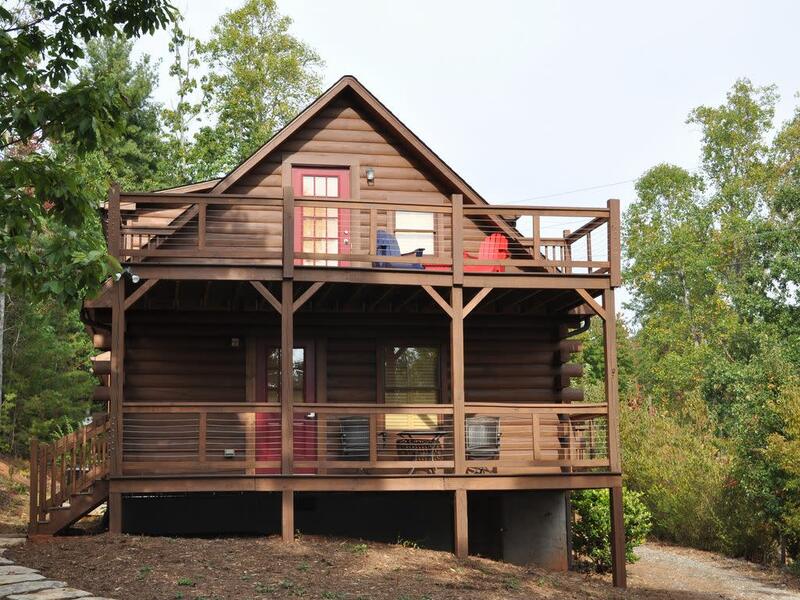 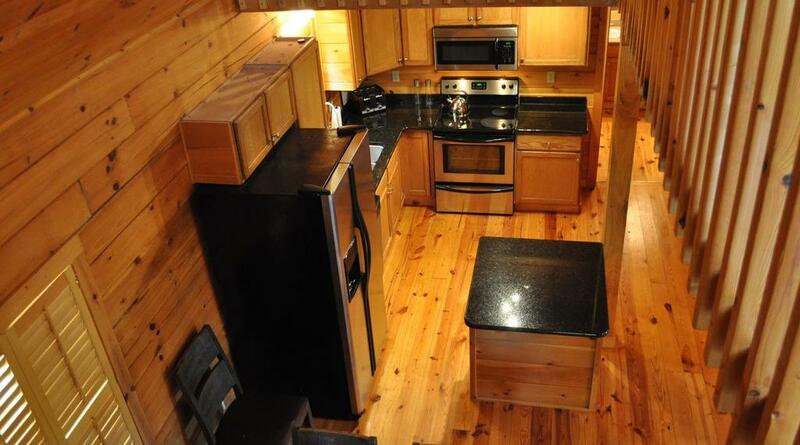 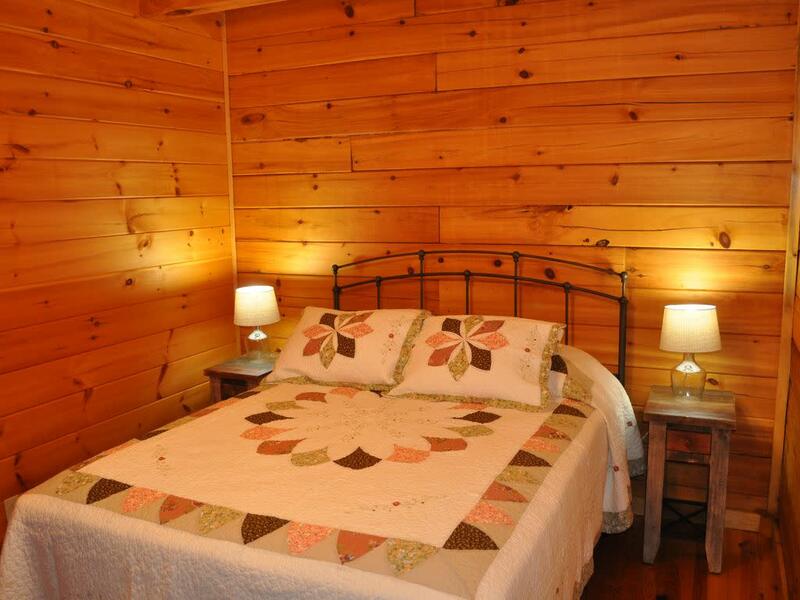 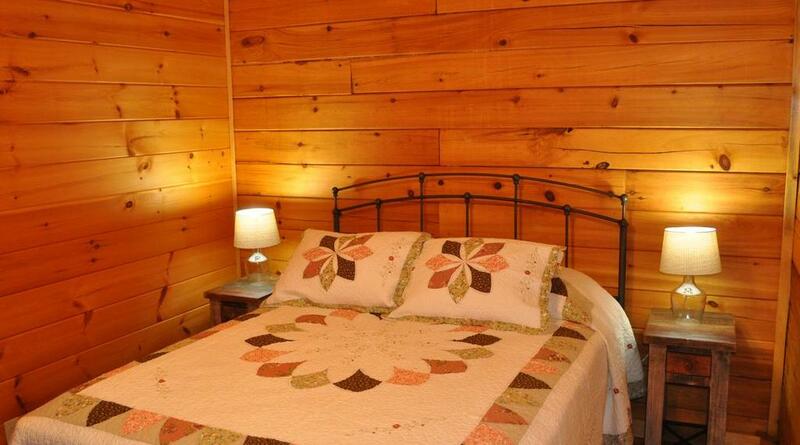 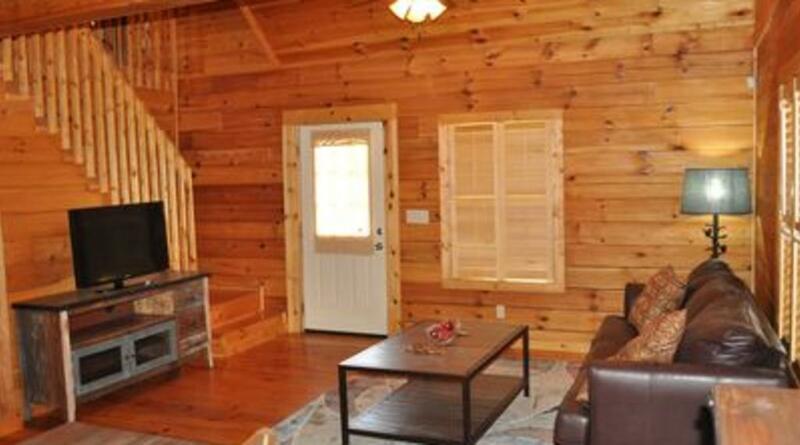 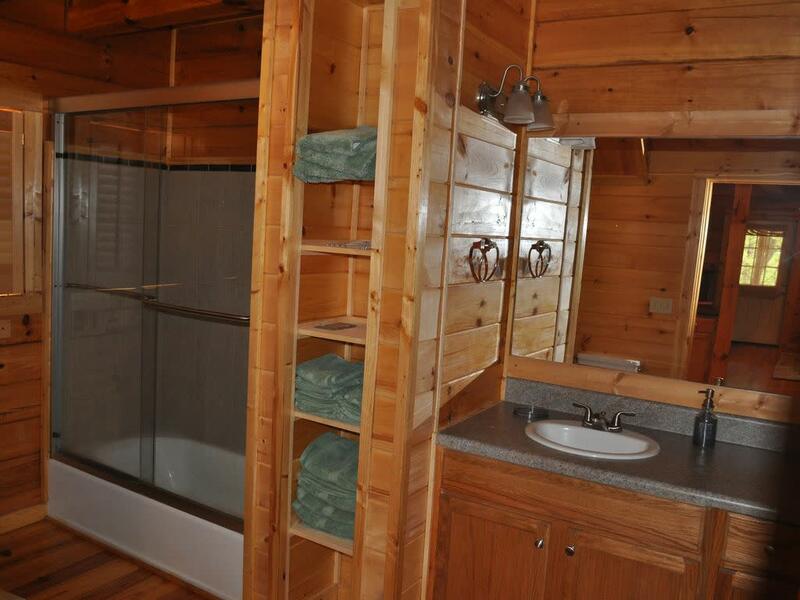 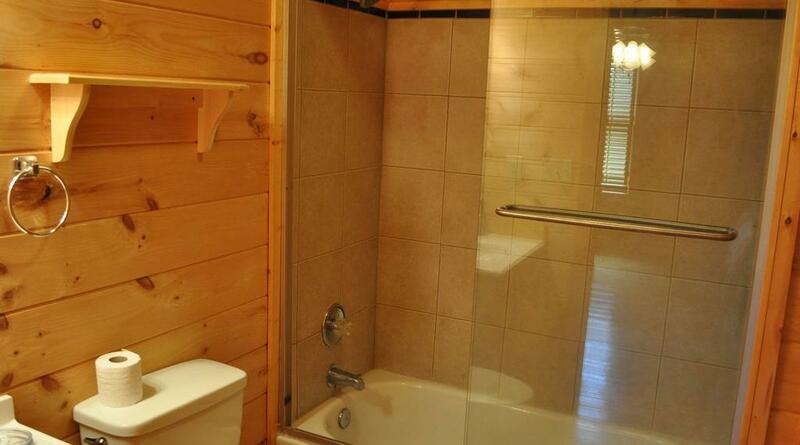 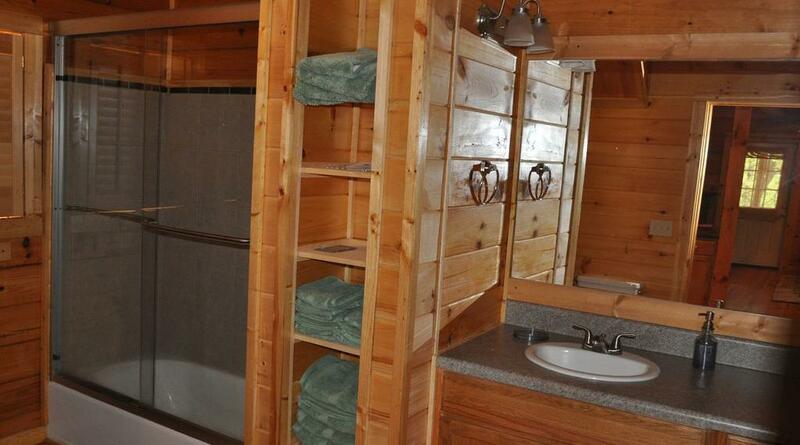 Serenity is 2 bedroom, 2 bathroom cabin located only 1 mile off of highway 9. 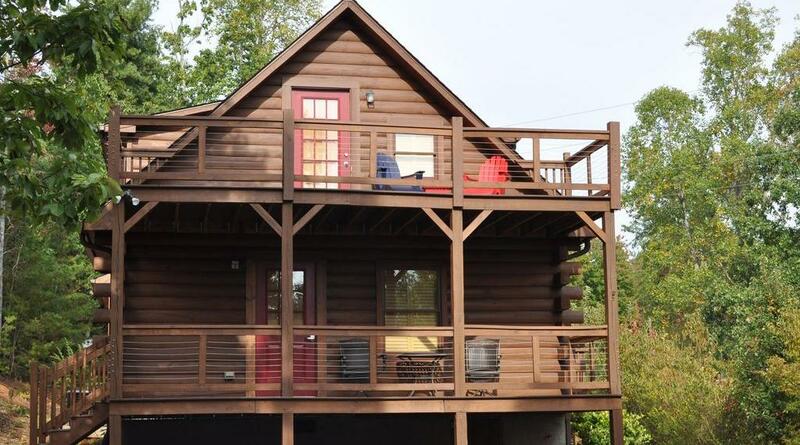 Enjoy the front porch with bistro table and chairs for an early morning coffee while enjoying the outdoors. 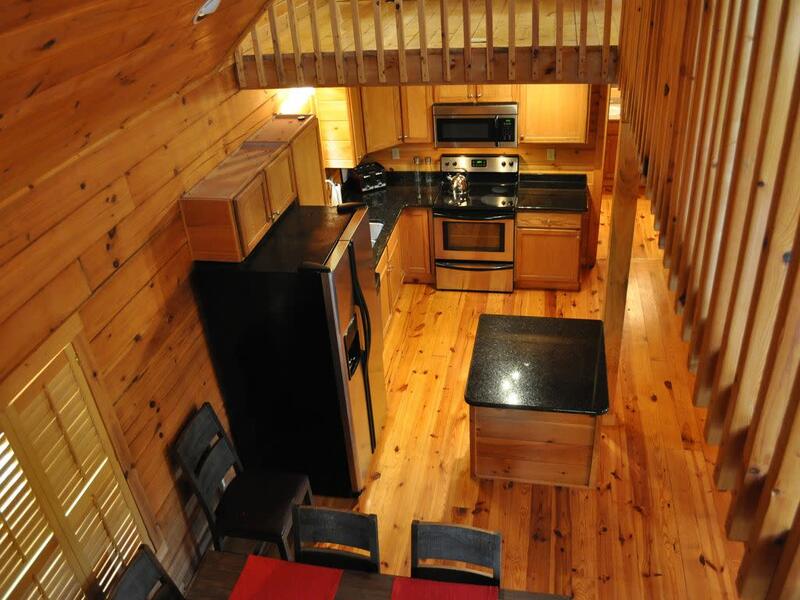 The second level is a loft with 2 twin beds and a full bath. 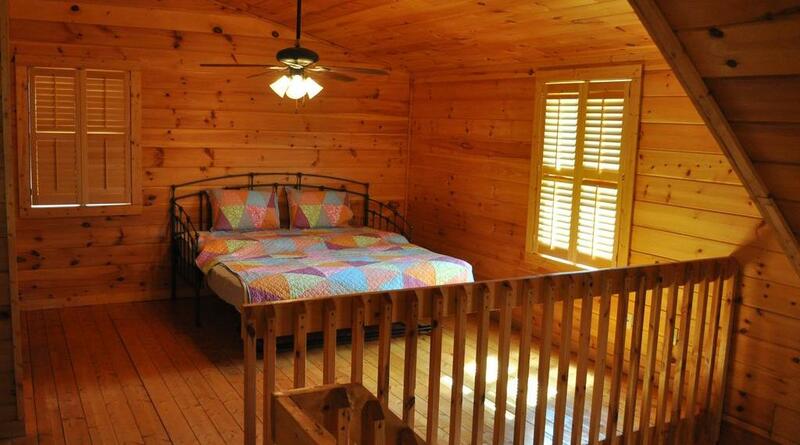 The main level includes a master bedroom with a queen bed and a pull out sofa in the living room. 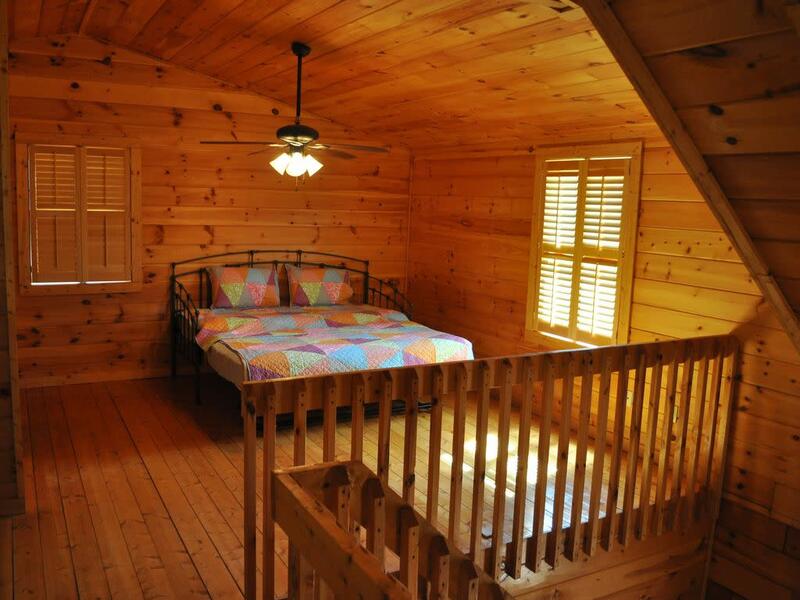 This cabin can accommodate 6 guests comfortably. 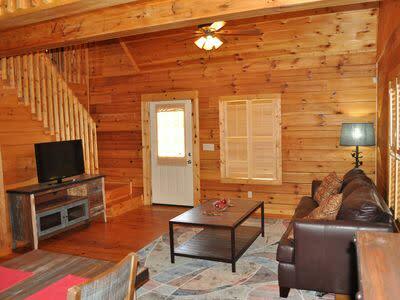 Other things that are included are wifi, DirectTV, a full kitchen, and all linens are provided.